In 2013, when I was suffering from an IT band injury following my first marathon, my physiotherapist recommended investing in a foam roller. I diligently went to a local running store and picked one up. I paid an extortionate amount of money for what I thought was a stupid roll of hard foam. At least it was pink. I was meant to use the foam roller for something called self-myofascial release. It’s basically a fancy term for self-massage. That sounds nice, I thought. Wrong. Totally and completely wrong. It hurt like hell. Especially when I used the foam roller on my injured IT band. But I did what I was told because I wanted to heal and run again. Years later, when my knee started acting up ahead of my Kilimanjaro climb, another physiotherapist prescribed me a variety of exercises, and guess what? A regular foam rolling routine was included. I shuddered remembering the tortuous IT band rolling from years past. With two expert recommendations for the merits of foam rolling, I figured there must be something more to this somewhat masochistic activity. Foam rolling has many benefits beyond healing injury. In fact, it can also be preventative. By applying pressure to specific points on your body, you’re able to aid in the recovery of muscles and help keep them elastic and healthy. This was a novel discovery for me! 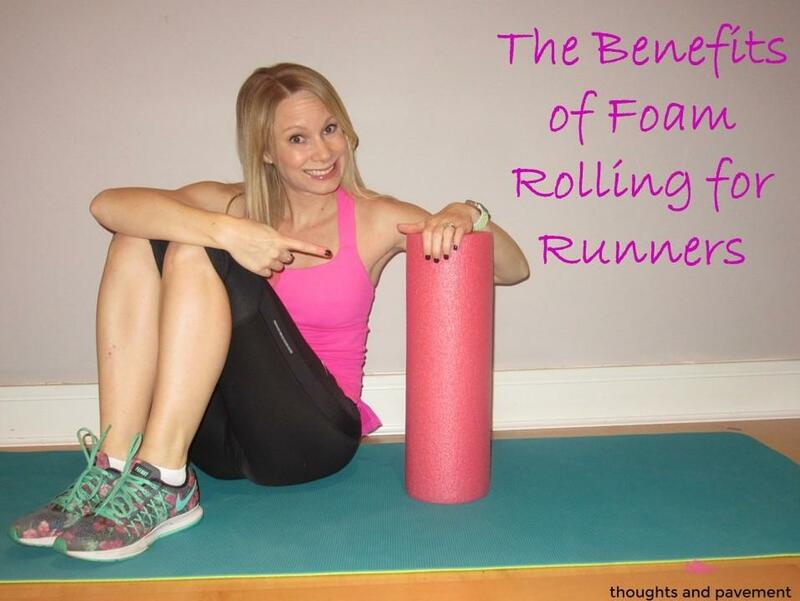 Foam rolling is not just for injured runners! It’s for healthy runners too! If done regularly, foam rolling can also improve mobility, and help remove lactic acid after a run. Foam rolling can also help break up scar tissue which can relieve pain caused by shin splints, and the dreaded IT band syndrome. I’ve had both and they are both terrible. And here’s a big one: it can save you money! Remember that “extortionate” amount of money I paid for my pink foam roller? Yeah… well, it was WAY less than the cost of single sports massage. So use your savings to buy some cool new kit for race day instead. In most cases, when you’re stretching or exercising and something hurts, you’re doing it wrong. But in the case of foam rolling, some pain is expected, and actually good. It’s essentially like going for a deep tissue massage where you work out all the knots in your muscles. It should feel uncomfortable, but not unbearable. And the best part is that when you’re done, it should feel better. Don’t roll directly where you feel pain. If you find a sensitive spot, ease away a few inches. That’s where the magic happens. Don’t roll too fast. Your movements should be slow and concentrated. If you roll too fast, you’ll miss out on the benefits. Don’t spend too much time on the knots. Lots of articles recommend holding still when you find a hotspot and waiting until it releases. But that is pretty vague and to be honest, I’ve been foam rolling for years and I’ve never really felt “a release” exactly. Instead, spend a few seconds on that spot and move on. If you spend too much time on one spot, you’re just going to hurt yourself. Do you use a foam roller? What are your favourite moves? And more importantly, what colour did you go with?